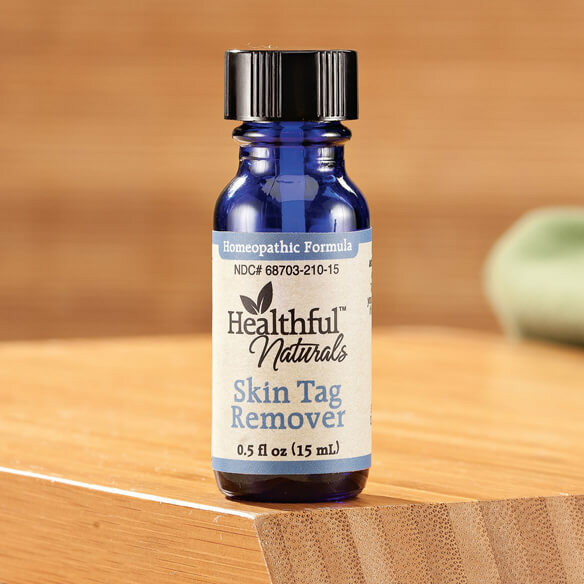 Enjoy a smoother look with this easy-to-apply skin tag remover. Homeopathic formula helps remove skin cell overgrowth using natural ingredients, including thuja occidentalis, cedar leaf oil, melaleuca alternifolia leaf oil and ricinus communis seed oil. 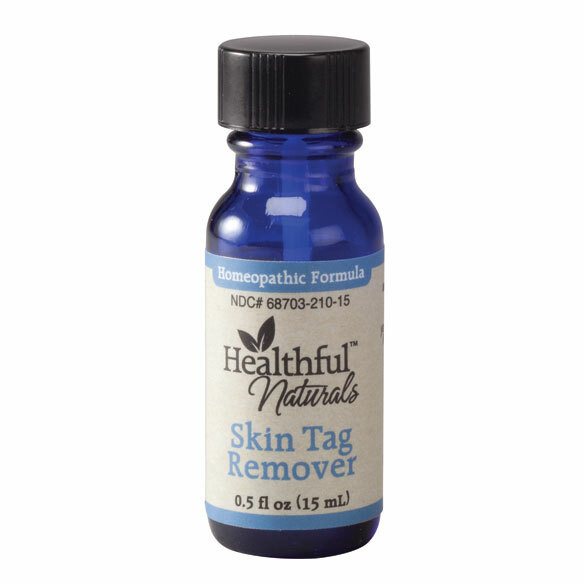 Homeopathic skin tag remedy for treating skin tags at home. Applicator brush for precise, easy treatment. No more expensive, painful dermatologist visits. Ideal for symptomatic treatment of skin tags. Shake before using. Adults and children (6-12): apply 3 times daily to skin tags. Affected area will dry and flake away over a period of 3-6 weeks. skin tags and keloids small scars. It takes at least six to eight weeks to begin working on average. Sometimes sooner, sometimes longer. I have been watching this product for a number of years and finally decided to give it a try. For the few number of days that I have used it, I am seeing the tags drying up. There is no burning, pain, or adverse side effects. I am using the product everyday. I apply the product everyday but I will not see the results for another week. Everything is looking good. Don't waste your money. This product does absolutely nothing! What are the directions ? I have used three times a day for a month. The tags did not disappear nor diminish. This product didn't work at all. Bogus. curious to see if this product works in order to avoid physician visit. I have a few now that I am older and depending where they grow, they can be seen or even painful. I've heard of home remedies but I will try this product. I have skin tags and there are a couple that sit on my bra line. I'm hoping this works. I am tired of bleeding when I cut these off. I also have had them removed at the doctors office and it is expensive. I think that it will help me. I have skin tags that need to be removed. smells to strong to wear out in public. Have tried other brands and its not working, it maybe because we have had it a while, so will give this a try. Didn't want to go to dermatologist for such a little issue. Because I need a skin tag treatment. I have used this in the past and it works. Tags on neckline and inhibit my wearind necklaces. Obviously, to remove skin tags. Thought I would try this. Hope it works. Doctors won't remove them unless they feel it is medically necessary. has more things in it than the one I have that isn't working. Have used daily as directed, and no improved results. Can I receive a credit? Skincare Cosmetics Retinol Night Cream - 1.7 Oz. HOW OFTEN TO APPLY TO SKIN TAGS? BEST ANSWER: On the bottle it states to apply it 3 times a day. Eye lid skin tags -Can this be used? BEST ANSWER: Thank you for your question. We suggest speaking with your physician before using anything near the eye.We hope this information will be of help to you. how long should it stay on the tag? BEST ANSWER: Thank you for your question. Once applied, the liquid will dry and should not be washed off. We hope this information will be of help to you. I use Skin Tag 2 or 3 times a week. It seems to be working well for me.